There’s only one day care center serving Morrisville which gives your child the head start they need—Children Central. Early childhood education is critical in giving your child the tools they need for growing up. 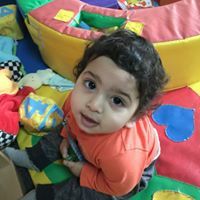 That is why, when it is time to send your child on to their first steps to learning, it is important that you have a team of child care professionals who will take care of everything. Children Central is the only child care center serving Morrisville, PA that provides parents and their children the balanced child development activities and lessons that every child needs. We have been providing quality education in Pennsylvania since 1992. As experts in early childhood education and development, we stand behind our child care programs which have generated positive results for our students. Our Morrisville day care center has developed a tried and true and science-backed process, thanks to our dedicated staff members. We have a team of devoted early child development practitioners that look into best practices in our field. Our mission is to bring out the best in every child. We have built our system into a compelling child care curriculum called High Reach Learning. This is the only curriculum that is verified by the Keystone STARS organization. High Reach Learning prepares your child to learn according to their individual age group. As a result, we have produced hundreds of graduates who shine wherever they go. Our students begin as all children do, but as they go through our program, they become independent, as well as active and highly engaged learners. Our preschool is full of colors, numbers, shapes and more! 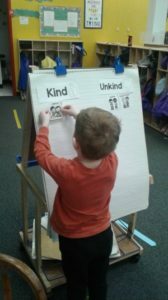 Children enrolled in our day care serving the Morrisville community, are more aware if their surroundings. They are prepared to tackle the many different activities that interest them. How is this possible? That's easy... Parent involvement. The parents of our students are actively engaged with their children and our teachers to find out what works best for our learners. Teachers send daily and weekly progress reports home for each child. These are detailed notes on what their child has accomplished on any given day. Children Central is proud to serve the parents and students of the Morrisville, Pennsylvania area. Contact Us today and let us show you around our Langhorne children's center.